Claudia Quigg is the Executive Director of Baby TALK and writes the Let's Talk Kids parenting segment and column that honor the expertise parents have about their own children and explores issues that are universal for families. From toilet training and sibling rivalry to establishing family values, Claudia Quigg provides thoughtful and accessible insights that are meaningful to families' needs. Let's Talk Kids: "A Grateful Goodbye..."
Under the file marked “My Family’s Quirks” is the knowledge that granddaughter Joslin has a rough time saying goodbye. She loves her family and friends with such fervor that whenever it’s time for her to part from any of them, she struggles with her own bereft sorrow. Knowing this, we plan ahead to be sure we give her time for her farewells, offering up our own with calm reassurance and understanding. Let's Talk Kids: "No Two Are Alike"
The Walters family has two sons, aged four and seven. These sweet boys look so much alike that I do a double take each time I see them. Their mom dresses them in matching outfits for holiday photos, and their parents hear a constant litany of how much they resemble each other. Let's Talk Kids: "Guinea Pigs, Hermit Crabs, and Tree Frogs"
Most expectant parents imagine they will be completely different parents than the ones who raised them. And then somehow, in the months following the births of their babies, words come out of their own mouths that they remember hearing a generation ago. Our past is inescapable, it seems, when it comes to raising our children. This is great news for grandparents who feel somehow affirmed by the perpetuation of their methods and values. But perhaps the most delicious aspect of all is watching our adult children deal with some of the same issues they presented to us as children. Let's Talk Kids: "Don't Just Do Something... Stand There!" This one is for every adult who’s watched in frustration as a parent or child struggled in some way. Perhaps you’re a caring neighbor who sees the single parent next door work two jobs in order to provide for her kids. Maybe you’re a grandparent who can’t stand to watch a grandchild try again and again to get the right piece in the jigsaw puzzle. Or you might be a friend who sees a parent at his wit’s end figuring out how to support a child’s more peaceful behavior. Let's Talk Kids: "The Gatekeeping Game"
Every pair of parents has a subtle competition going on most of the time. Even when they’re deeply committed to each other, daily life with a family provides no shortage of space for skirmishes. There’s a natural “gatekeeping” related to parents’ devotion to their child. Each parent believes he or she knows best on some issue of childrearing, which often results in disagreement. Mom thinks sugar should be restricted, and Dad thinks she’s being silly. Dad has no tolerance for sass, and Mom thinks some of it should be overlooked. Let's Talk Kids: "Internalizing the Rules"
His face screwed up in remorse, Joe was one miserable five-year old. His buddy Brandon was crying and holding his sore arm where had Joe grabbed him to get the Lego guy they both wanted for playtime. A couple of years earlier, Joe would have been merrily playing with his snatched toy. But now, his joy at winding up with the coveted piece was marred by his sense of guilt at taking it away from Brandon. Let's Talk Kids: "Mud Day"
Most parents and grandparents remember with fondness their childhood opportunity to play in the mud. Building, slogging, lifting feet with a sucking sound, making mud pies—these sensual experiences of our youth call up pleasure in their remembering. Let's Talk Kids: "It's Paw-ty Time!" Standing outside in driving rain at 4 am, I’m reminded of something I already know well: teaching someone to manage his bowel and bladder habits represents a significant investment. Eight-week old puppy Davy came to live at my house recently. While we’re quickly falling in love with this little guy, teaching him to potty outside has been a challenge. The whole experience puts me in solidarity with parents who are working to achieve that same sort of control with their toddlers. Let's Talk Kids: "Dads in the Present"
A long time ago, most Dads spent their days at work. When they got home to a welcoming home and family where a home-cooked dinner awaited, they may have heard about the day in the past tense: “Tommy cried all morning when you left.” “Dad, I built the tallest tower with blocks today!.” “Daddy, I fell down on the sidewalk and skinned my knee.” Dads were dutiful listeners to the life of the family, but sometimes lacked opportunities to be present in the moment with them. Let's Talk Kids: "Happy Birth-day!" Recently, I celebrated that universal holiday enjoyed by each of us who sports a belly button, reminiscent of our entry into this world. My birthday was nothing special. After all, each of us experiences that phenomenon on an eerily regular basis as the calendar pages turn ever-so quickly from year to year. But this year, I tried to imagine that first birth-day, the day I was born. Let's Talk Kids: "Think Today, Not Tomorrow"
Parenting is a task focused on the future. The very nature of raising children is to launch their future lives. Parents want their babies to learn so they can succeed in preschool and get into Harvard so they can live happily ever after. Even in the short term, conscientious parents focus on the future. In the spring, parents plan for their children’s fall school enrollment. In February, they decide about summer plans for their kids—camp, child care, activities, and maybe a family vacation. Let's Talk Kids: "Parenting Along the Path"
An old friend visited me recently. She’s raising a lovely 18-year-old son who I’ve known since he was an active toddler. 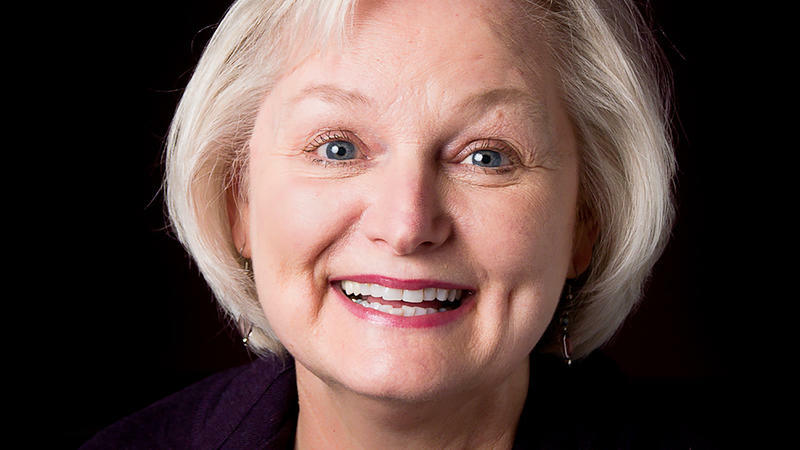 During our conversation she shared enthusiastically about her son’s serious commitment which has led to his becoming a violin virtuoso, participating in an outstanding youth symphony with many performance opportunities. He’s currently auditioning for several universities and hopes to attain a scholarship to pursue his musical studies. Let's Talk Kids: "Those Dirty Liars"
One morning, four-year-old Devon watches as big brother Andrew prepares to leave for school. Andrew realizes his backpack isn’t where he left it and races around the house frantically, desperate to find the supplies he needs for his school day. The whole family engages in the search, checking anywhere he might have accidentally left it. Watching the clock, Dad announces they simply have to leave or Andrew will be late for school. Frustrated, Andrew wipes his eyes, trudging to Dad’s car without the backpack. Let's Talk Kids: "The Full-time Job"
He’s in the advertising business and she’s a nurse. But in truth, there is for both of them a different role that is never out of their focus, 24/7. They are parents to three pretty wonderful children, and those kids lie closer to their parents’ life purpose than any job that results in a paycheck. Let's Talk Kids: "The Good Samaritan Impact"
It was a truly lousy day at the Osman house. Every member of the family was at a different stage of whatever bug had infested itself in their respiratory tracts. After a long day of sniffling and whining, bedtime had finally arrived. Just as Mom and Dad were tucking the little ones into bed, the doorbell rang. Dad ran to answer it but was perplexed to find no one standing there. About to go back inside, he glanced down to find a Get Well Basket left on the porch. Amazed, he carried it back upstairs where the tucking-in was in process. 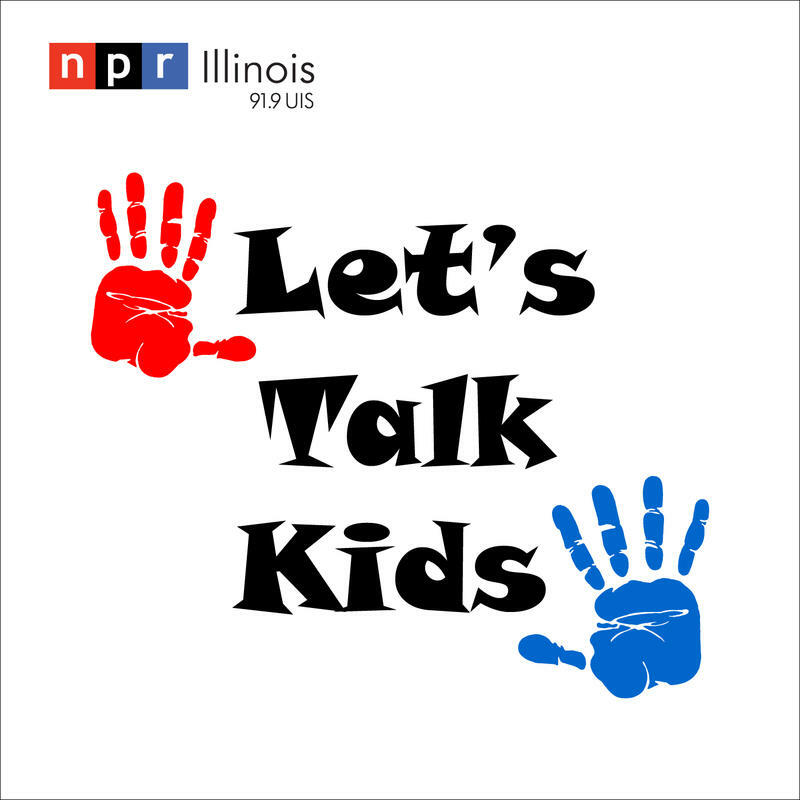 Let's Talk Kids: "Seeking Sleep"
While their exhausted parents could fall asleep standing on their heads, frustrated four-year-olds and sobbing seven-year-olds fight bedtime to the death. What is it that kids have against sleeping? Most parents have faced this night-time frustration at least once, and the reasons it happens are as complicated as the children they love. Let's Talk Kids: "No Instant Success In Parenting"
Nowadays, we expect everything to be fast. Technology has enable us to expect our every effort to be met with an immediate result. And then we become parents. When we’re raising children, no effort is met with immediate results. Are you working to train your baby to sleep through the night? Several months from now, your efforts will pay off. Have you decided to toilet train your toddler? Hope you’re not planning for dependably dry underwear for a few weeks. Let's Talk Kids: "Parents and Teachers Team Up"
A family I know faces a significant health challenge with their daughter. This typically strong student is underperforming at school on account of her health. Her grades have suffered, adding to the stress for this family in an already tough situation. Recognizing the impact this illness has had on the girl’s school performance, her mother made an appointment to see her daughter’s school counselor and also requested that her teachers attend if possible. Let's Talk Kids: "Parents' Stories"
When we become parents, we bring all the experiences of our prior lives into our work with our children. These stories quietly influence our decisions and patterns of behavior as we raise our kids. Some memories are of joyous occasions, but a few are of times of heartache or disappointment. Dr. Selma Fraiberg, a 20th century psychologist, recognized those painful memories as “Ghosts in the Nursery,” and wrote about their power to negatively impact a parent’s experience of raising children. Let's Talk Kids: "The Professional Noticer"
Most parents will tell you that each of their children has a special gift that contributes to the health and wealth of the family. One offspring is the empathic one that senses when another family member is sad. One is the conversationalist who brings lots of questions and reports to the family table. Yet another is the life of the party who entertains the lot, keeping the mood (and noise level) high. Let's Talk Kids: "Parents' Hopes"
The conversation I recently enjoyed with a small group of mothers was like many I’ve experienced before. Love shining in their eyes, they shared universal hopes for their children. The first mother shared her hope that her child would be healthy. The second shared her desire for her child to be safe. The third spoke of wanting her child to do well in school. These hopes and dreams for children are on the lips and in the hearts of every parent I know. Let's Talk Kids: "Facing Facts"
Newborns gaze into their parents’ faces, seeking connection with those who care for them. Older babies look at adults’ faces to try to understand how to read an uncertain situation. Toddlers reference their parents’ faces to check in on how far they can push the limits. And for the rest of their lives, those children will continue to use this skill of gaining important information by reading the faces of others to figure out their world. The messages we read on others’ faces convey more powerful meaning than the words we hear. Let's Talk Kids: "Timing Is Everything"
Two-year-old Nick was deeply engrossed rolling his new cars along his race track when his dad called him to the table for supper. Once seated, he played with his food and kicked his feet, all the while glancing over at the abandoned race track. His parents, deeply concerned about his nutrition, kept encouraging him to eat something. “Just two bites of your chicken,” implored his mom to no avail. Nick was not having the chicken, nor anything else on his plate. Let's Talk Kids: "Dragons Can Be Beaten"
“Brave is the new pretty.” I saw these words on a plaque for a girl’s bedroom recently, and it heartened me. I’m grateful to think that parents value the courage their children (male and female) will need to bring to our culture. Pretty early on, kids figure out that this world is often a cruel one. They experience a bite from another child at play group. Soon they watch as one child taunts another, and when they go to school they see real bullying in action. Let's Talk Kids: "The Limits Of Our Control"
You can’t throw a stick at a group of parents without hitting one who’s actively pining for her children to be different from the way they are. While we love them the way they are (We do! We really do! ), we can’t help wishing they would change. We want them to change because we love them so much and we want their lives to be perfect, as if that were even a possibility. And so we try to change them when we see habits or natures that might trip them up down the road. Let's Talk Kids: "Parents Bring Peace"
Let's Talk Kids: "Boredom's Boon"
A mother explained that she plans a tight schedule for her kids, allowing for little “down time.” In her experience, when kids have time on their hands, trouble results. And I get that. Like the old adage that “Idle hands are the devil’s workshop,” I remember plenty of times in my own house when kids with not enough to do would stir up misbehavior for its own sake. This parent has a good point, undoubtedly borne out by experience with her own three rowdy children. Let's Talk Kids: "A Case For Memorization"
My granddaughter recently delighted me with her recitation of a long poem about the American Presidents. While it may not have been great literature, it contained important information, which I believe she will retain for a lifetime. The mental discipline involved in her learning it inspired me to reflect on my own childhood attempts to memorize poetry. The need for memorizing a poem has been challenged during these days when anything can be found with a few taps on a smartphone. But there are those who recognize real benefits for the practice. Let's Talk Kids: "Three Questions For Dinner"
Family dinner conversations flow with the casserole to cement a family together like few other activities. Meg Conley, a writer for the Huffington Post, focuses on topics related to raising children. A recent article of hers inspired me. In it, she shared a practice she and her husband have implemented around family dinners. In an effort to reconnect each evening, they ask the same three questions at dinner: How were you brave today? How were you kind today? And how did you fail today? Let's Talk Kids: "Embarrassment Of Riches"
The extravagant generosity of family and friends results in a post-holiday embarrassment of riches for many American children. Toy chests already bursting at the seams are now challenged by the influx of a new slew of toys. New parents may be surprised to learn that Toy Management is a skill they’ll use for years to come. Every family needs a system for making a child’s favorite toys easily accessible.